When I was first diagnosed with my allergies my little world fell apart my main concern was no more birthday cake, no more jelly and ice cream. That is all that matters when you are a kid. Back then the internet was not a part of every day life so access to allergy free cooking recipes must have been very difficult for my Mum. I remember she would always cheer me up with Rice Crispy treats as they can be made free of my allergens. I was poorly over the weekend, not sure if it was bad food or food allergies (the effects are similar). 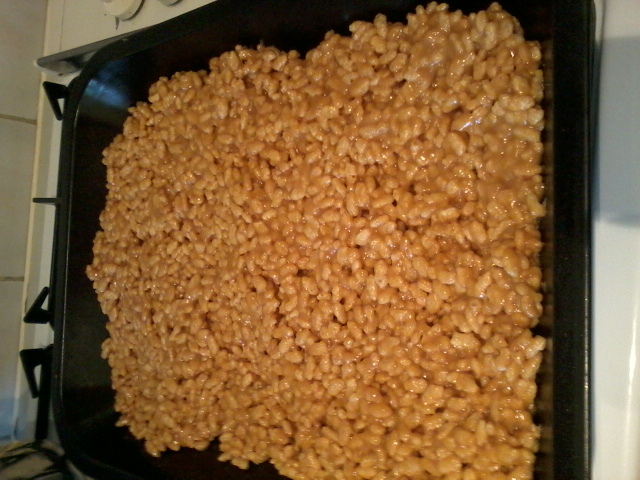 I decided I needed a little childhood cheer and made rice crispy treats. Mum always made them with dairy free margarine and golden syrup. I decided to pimp them out USA style and add peanut butter. I am very lucky not to have a Peanut allergy and I grew up eating peanut butter. I've visited the USA numerous time and I came to realise that US PB is the best. So ditch the Sunpat and Supermarket own brands to invest extra pennies into the real stuff. Skippy is a personal favourite and available in Sainsburys. Did you know the Peta website had recipes? I did not and it is where I got the idea to add PB to my crispy treats. I used this recipe as guidance for quantities (link). 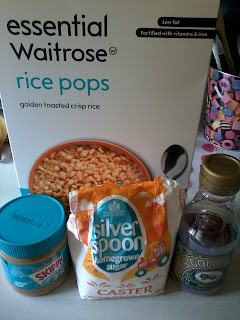 I substituted corn syrup for golden syrup. In hindsight leave out the sugar, I've been bouncing off the walls, I am so daft I did not put my brain in gear. I can feel the cavities forming in my teeth. 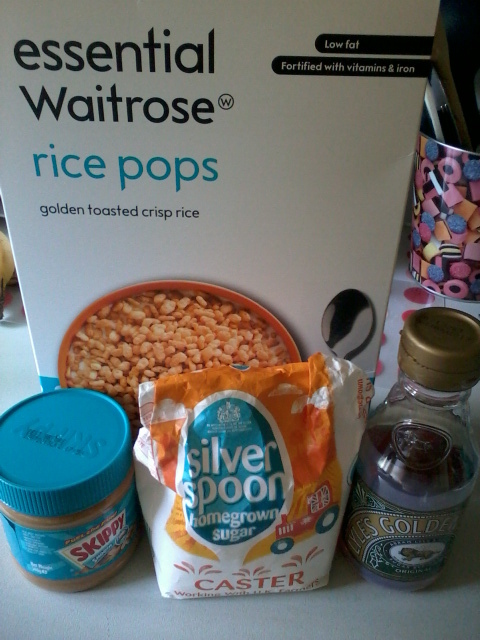 J Despite the sugar overload, I am loving my regression back to childhood. Sometimes its the simple things in life that are the best. What are your comfort foods? If you have a recipe to share feel free to leave a link below. Sounds really yummy! I like rice crispies and haven't had a sweet made out of it in ages! I think I'll be trying this!